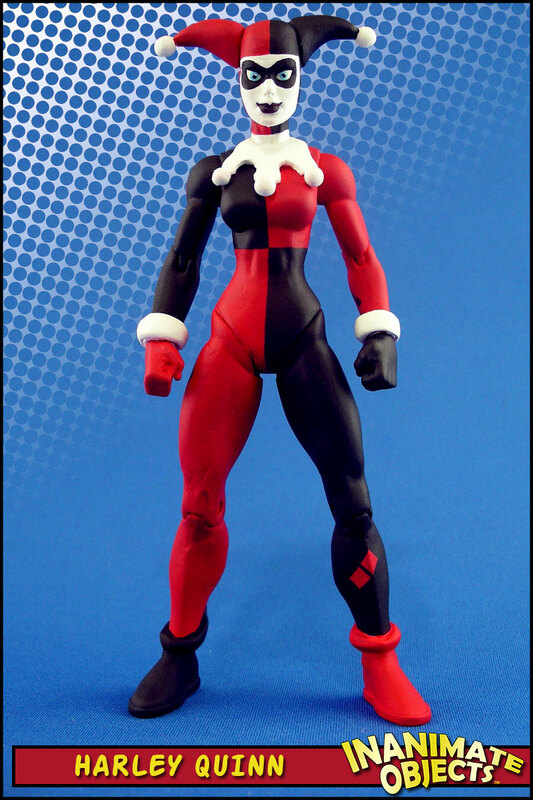 It seems when I start to make one Harley, I can’t help but make more. Though in retrospect, I don’t recommend painting multiple variations of that costume at one time to anybody. 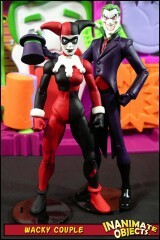 I love the Ed McGuinness figures by DC Direct. Yeah, they can be corny, and the some of the sculpts are less-than-stellar, but the overall consistency is solid, and there’s a pretty big variety now (for a DC Direct line, anyway). 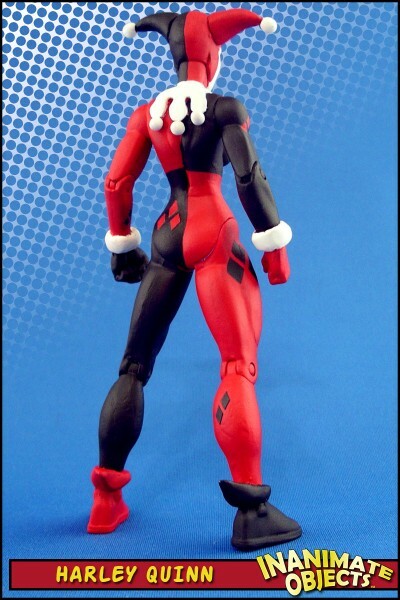 Seems a shame there was never a Harley made. 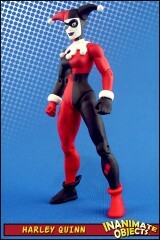 My McG Harley was made from a Superwoman. I sanded away the hair, belt and boot details. 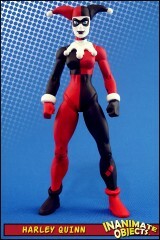 Then I added Harley’s details with Magic Sculpt. I very much tried to find an appropriate head that was smiling, but I simply never found one. 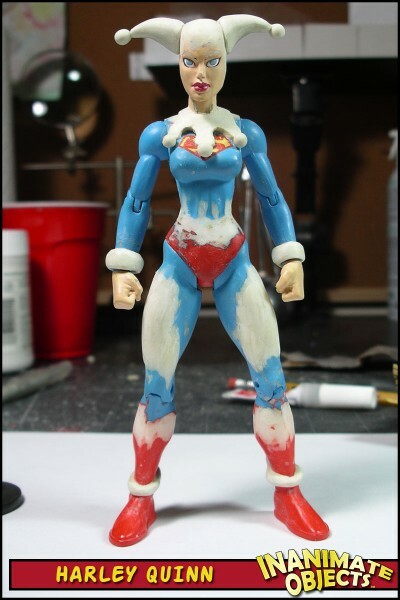 What you see here is the original Superwoman head modified. 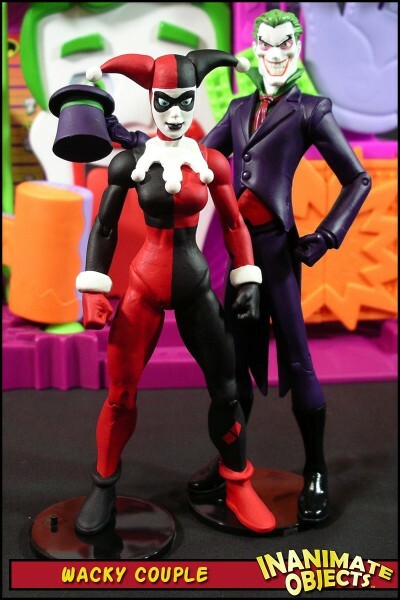 When I find a more suitable noggin, perhaps I’ll swap them out.